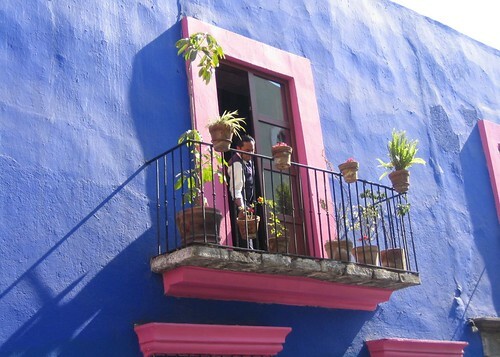 Puebla was founded in the mid-1500's by immigrants from Talavera de la Reina, Spain, a city noted for its potters. Today, Puebla is still a center for pottery, with the pottery itself known as Talavera pottery. Many of its buildings are covered with hand-painted ceramic tile. For more information, see www.inside-mexico.com/art1.htm. Oaxaca has long been a center for the arts, with both arts and crafts flourishing in the region.